Getting the best location and deal is key to a successful restaurant. Having a dedicated real estate team is essential. With over 50 years combined experience representing restaurant owners, multi-unit operators and franchises, we will help you lease or acquire your restaurant location. 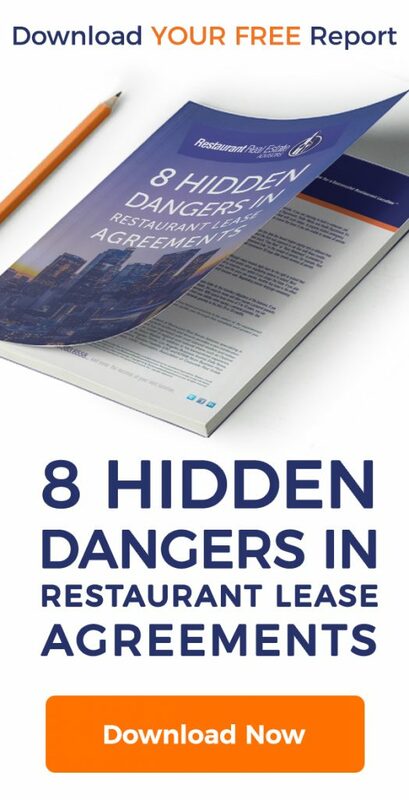 Building a restaurant or growing a brand is fraught with risks. The entire development and construction process is best handled by experienced professionals who can help you avoid the potential pitfalls. We have opened hundreds of restaurants and can help you navigate through the opening of a single unit or a national roll-out. Part of the owning any business is understanding the normal lifecycle and the right time to exit. With our expertise, we can advise you on your exit strategy and represent you when it comes time to sell your restaurant or company. Throughout the business cycle, from startup, through expansion, and disposition, it is critical to have experienced professionals on your team that can guide you through the process and help with the tough decisions.